A narrative of sorts using photos representative of the type of things I choose to capture. I can see marginal improvement from photos from the previous year, so I like to imagine I am actually improving as a photographer (and Photoshop user). One year ago today this was the picture outside our window. 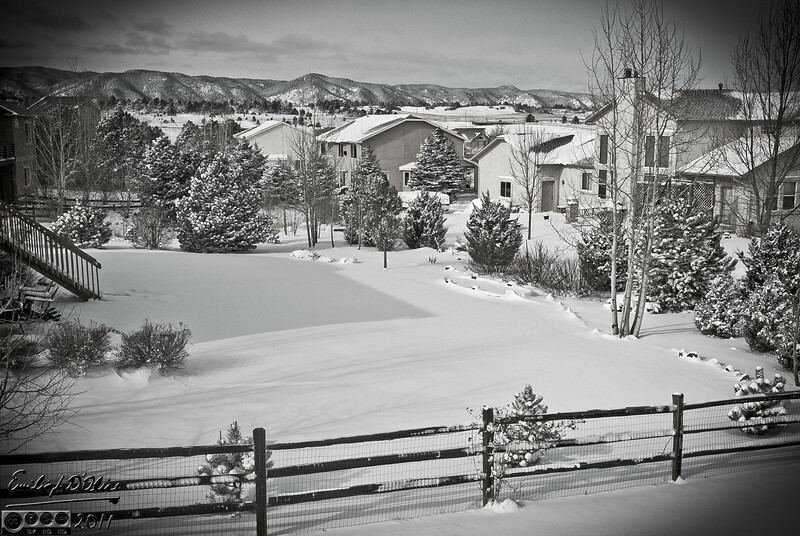 We had just return from visiting relatives, literally as we closed out garage door upon returning home, the snow started to turn the brown landscape to white.